While recently photographing at the Merced Wildlife Refuge, I noticed the moon was starting to become full. 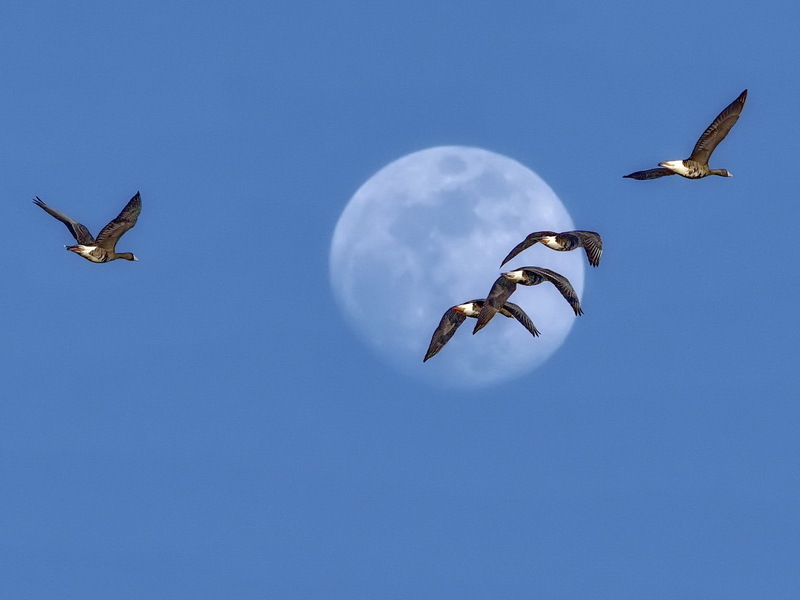 I waited a few days, and was able to make this photo as White Fronted Geese flew past the full moon at sunset. I like the way the predominantly blue image highlights the distinctive features of the geese.